100 Words, 100 Days: Day 29. On Languages. | What I think About When I Think About Writing. ← 100 Words, 100 Days: Day 28. On Haircuts and Compliments. 100 Words, 100 Days: Day 29. On Languages. 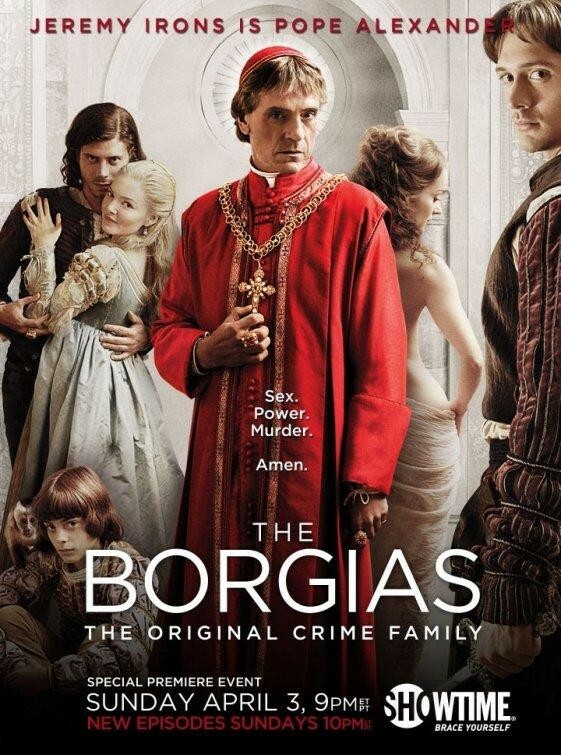 I’ve been watching The Borgias, which started recently on Sky Atlantic. While I’ve always been a fan of well-made historical dramas (even if they’re not quite accurate), none of them have made me want to live in their particular era. Except for this one. It’s not that I fancy becoming pope one day or learn the dark arts of manipulation and corruption. No, it’s because I’ve always wanted to learn Latin. From this ancient language came Romance languages: English, French, Spanish and, of course, Italian. It is said that if one becomes proficient in Latin, all other languages come easy. This entry was posted in 100 Days, 100 Words, Television, writing and tagged Borgias, House of Borgia, Jeremy Irons, Languages, Latin, Pope Alexander VI, Sky Atlantic. Bookmark the permalink. Bloody German…not only are they taking our money, but they’ve claimed our language too. I have to agree with Richard. English is not a Romance language, it is of Germanic origin, as in the language the Angles, and Saxons who came to the United Kingdom after the Romans left. However, English is a very versatile tongue, and it’s taken bits here and there from many Latin based languages, a lot of French words, probably a leftover from the Norman invasion. There’s a brilliant book, called The Mother Tongue by the witty Bill Bryson, and in it, he tells you the history of English. Oh, wow! That makes TWO books I’ve read by Bryson. I didn’t ever make the connection between The Mother Tongue and A Walk in the Woods. That’s another Bryson book to add to my collection. Thanks Alannah! When did English become a Romance language? Is not – through its many Germanic roots – from the Indo-European family of languages? Although admittedly with heavy Latin influences. I’m never listening to my teachers again! I think what is meant, Richard, is more along the lines of the structure of Latin being similar to that of many other languages – a structure which English has evolved-away from since it drifted from Old-English and Middle-English. The structure of verb-tenses and the noun-cases are slowly being whittled off English.